← If you had $5,000 to spend in a single store, where would you spend it? 6 Responses to What is your favorite animated Christmas special? If you love Highland romance, you won’t want to miss today’s Facebook party.It starts at 2:00 pm EST and continues until 10 pm EST. Authors, games, prizes, jewels, dresses, hot men, kilts, more prizes, and a Grand Prize at the end that will make your Christmas merry and bright! All are welcome, come join the fun. That is a close second for me too Kathy. If you haven’t yet, stop by the Facebook party. There are great prizes including a grand prize of a $175 Amazon gift certificate. 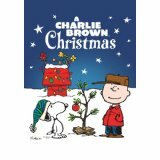 Charlie Brown Christmas. Hands down. 🙂 Loved all Charlie Brown specials as a kid. Good clean fun and always heartwarming. Rudolph the Red Nose Reindeer. Nothing beats the original. Been watching it since I was little. I remember pouring over the TV guide at the beginning of December to find out when all of the specials would be on. Times have changed a bit.